Terres Du Nepal Trekking (P.) Ltd born from the collaboration between two friends: a Nepalese of french adoption, and a french with Nepali heart. The agency is based in Kathmandu to organize your stay with experienced staff and partners : travel guides, porters, transport, hotels ... If you wish, they can pick up you at your arrival at the airport. They would like to share with you their love and knowledge of Nepal. For that, they believe that dialogue is a key and they can ensure ongoing communication in french or English, before your stay, and during it. Many ways are available to quench your thirst for discovering the country, but they want to prepare your stay with you. They answer your questions about your expectations, your budget, your capacity and your taste. According to their personal beliefs, the agency is also under the influence of ''fair tourism''... 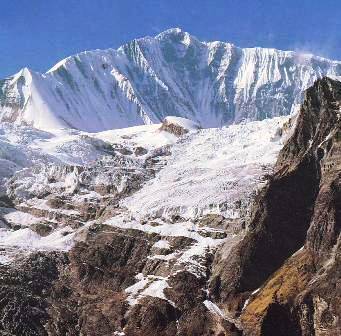 Thus, to meet the demand for some of you wishing to discover the Nepal with more intensity. They are currently working to provide you nights and stays among the nepali families. If you are interested, please let them know. Do not hesitate to call them if you have an idea of your projects. We will answer you specifically. It is a very good agency !